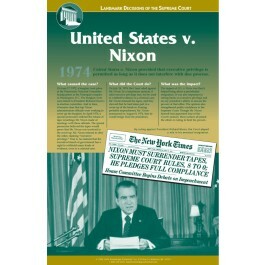 This poster focuses on the landmark Supreme Court case known as United States v. Nixon, one of the most important and influential decisions of the high court. It describes the events that led up to the case, the court's decision, and its impact on our nation. 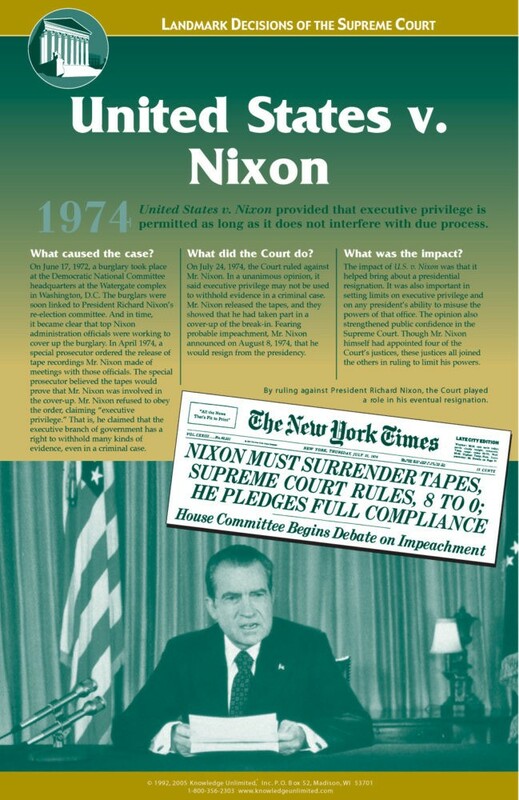 In the United States v. Nixon decision, the Court ruled that executive privilege may not be used to withhold evidence in a criminal case. This major decision not only led to the resignation of a president, but it established important limits on executive privilege. This poster is a great way to teach students how our governmental checks and balances work.